I've known Sarah since my second year of university. We bonded over a mutual love of snacks and quoting scenes from the youtube video "Marcel the Shell with Shoes On." Our friendship did go much deeper than silly things like that and I now count Sarah as one of my closest friends. When I found out Sarah had met and had fallen in love with a man named Brent- I was over the moon! Fast forward a bit and I got the lovely opportunity to capture Sarah and Brent's engagment. 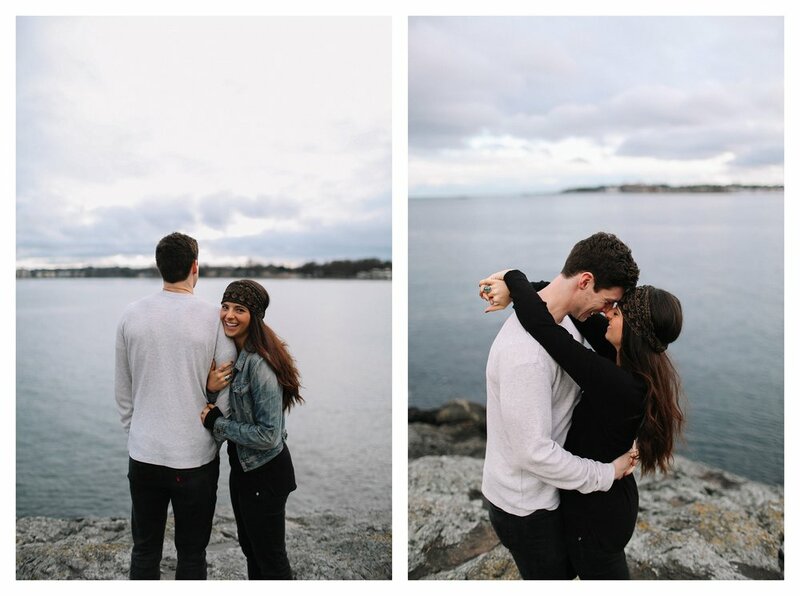 Capturing friends in love is one of the greatest privileges I have as a photographer! Here's a couple favourites from our pinky sunset shoot at Cattle Point, Victoria B.C. Love you Sarah and Brent!